Without the work of photographer Cecil Beaton there would be some major visual gaps in the history of jewelry. I was reminded of just how important the Englishman was by the documentary Love, Cecil. The amazing 90-minute film, that can be streamed on Amazon, covers the many facets of Beaton’s biography including how he catapulted himself into high society and became the beloved lensman to so many luminaries who he shot in their jewels. One of Beaton’s major social achievements was to somehow stay friendly with Queen Elizabeth while also remaining close to the Duke and Duchess of Windsor. 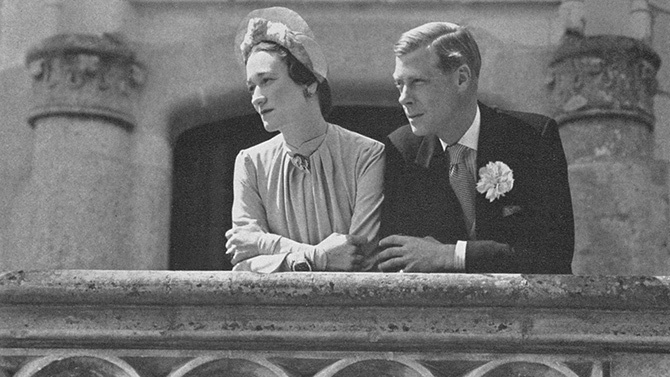 He shot the couple’s controversial wedding in 1937 and photographed the Duchess many times after the fact. 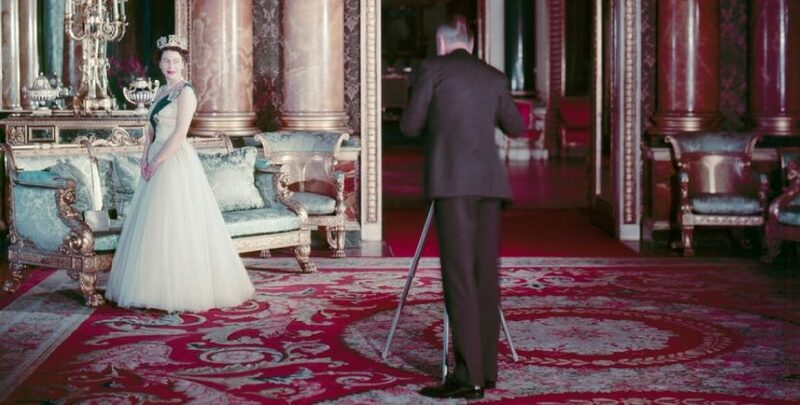 He also photographed the Queen for countless sittings not to mention her coronation in 1953. Fans of The Crown might recall how Beaton’s relationship with the royal family is sort of a mini-subplot in the Netflix series. The royal family were far from the only prickly characters Beaton charmed. He was friends with Coco Chanel. He had an intimate relationship with Greta Garbo when she was virtually in hiding from the world. 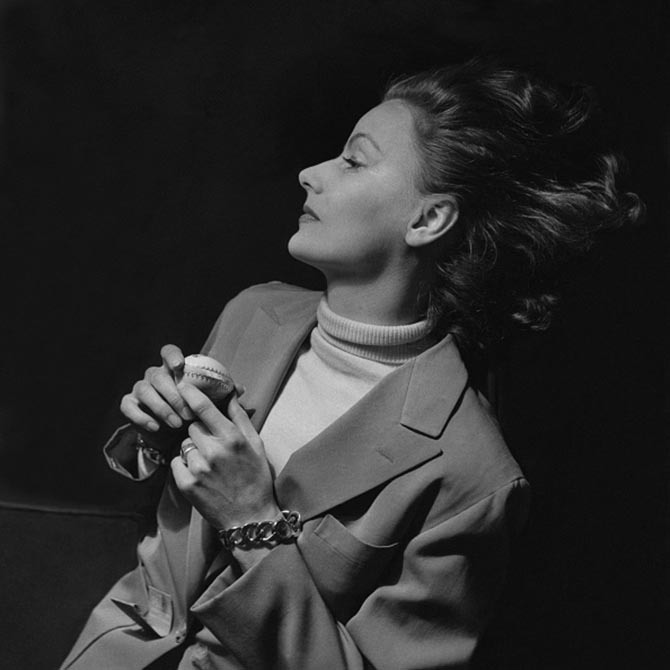 The warmth between the secretive movie star and the photographer comes shining through in the series of images he took of her wearing a suit and her Verdura curb link bracelets. Beaton photographed Daisy Fellowes, not a woman known for her amiability, many several times in her Cartier Tutti-Frutti necklace. To my knowledge he is the only one to have ever shot her in the masterpiece. Love, Cecil doesn’t review the jewelry per se, but it is there for all to see. What it does do magnificently is cover Beaton’s life story—the creativity, the challenges and controversies—in a way that enriches looking at his images. In addition to being a society photographer, Beaton shot fashion for Vogue and he was an illustrator for the publication. He was also a super talented costume designer and won Oscars for his work on Gigi (1958) and My Fair Lady (1964). The controversial part of his character comes through clearly in Love, Cecil with the coverage from the period and all the wicked observations he made in his diaries which are read in a voice-over of some scenes by actor Rupert Everett. There is also one priceless exchange between Diana Vreeland and Truman Capote on Beaton. PutLove, Cecil on your watch list of films and see a small selection of his portraits of luminaries in jewels below. 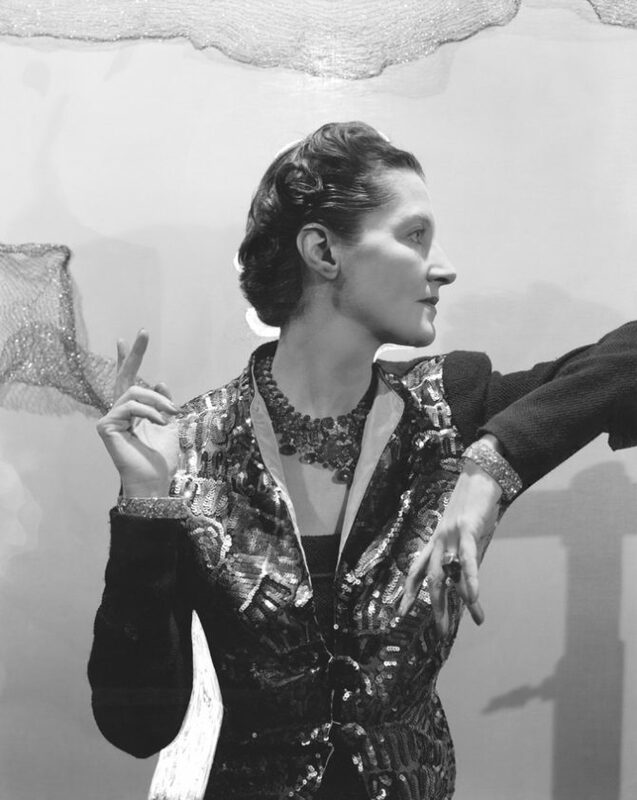 Daisy Fellowes wearing her Cartier Tutti Frutti necklace in a portrait by Cecil Beaton taken by Cecil Beaton around 1936. 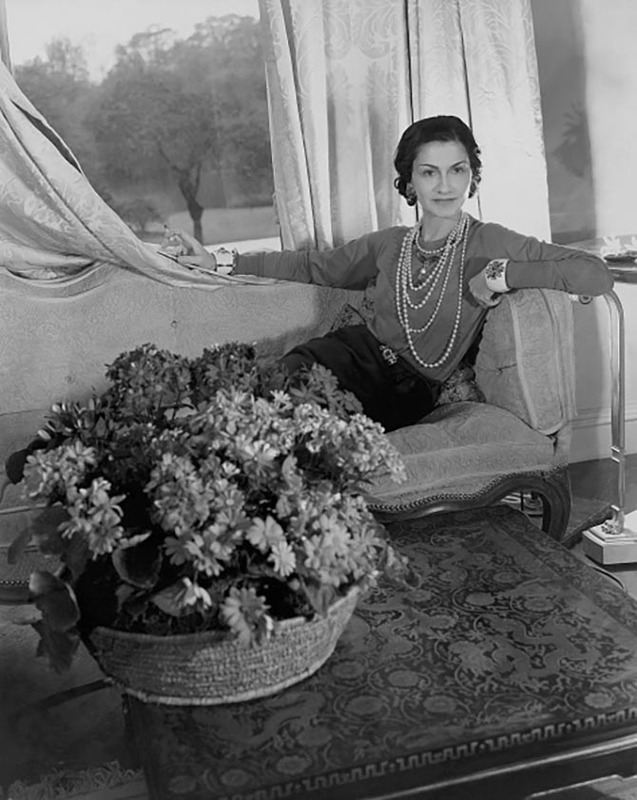 Coco Chanel in a portrait by Cecil Beaton taken in London around 1938. 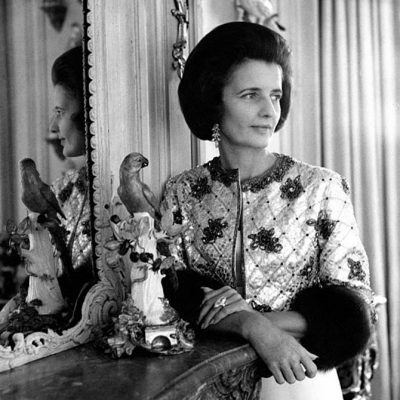 The fashion designer is wearing pearls as well as her signature Maltese Cross Cuffs and a necklace designed by Verdura. 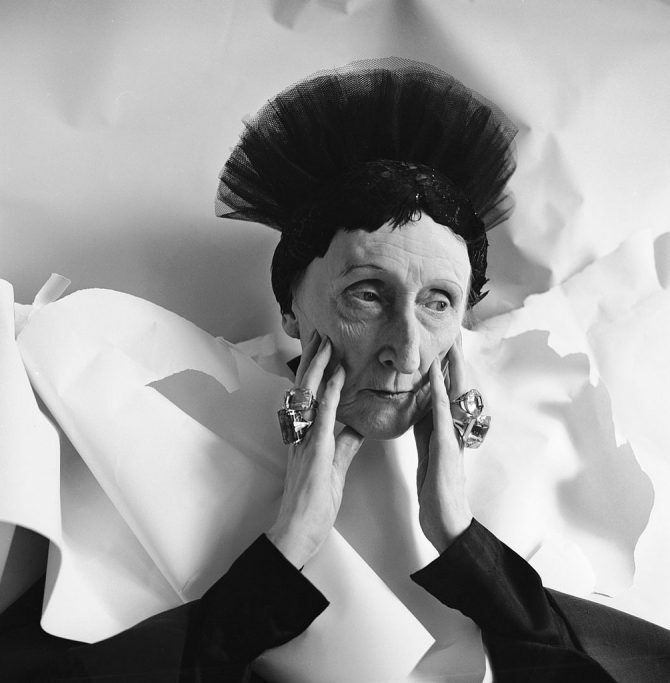 Edith Sitwell wearing her stacks of big rings in a 1962 portrait by Cecil Beaton. 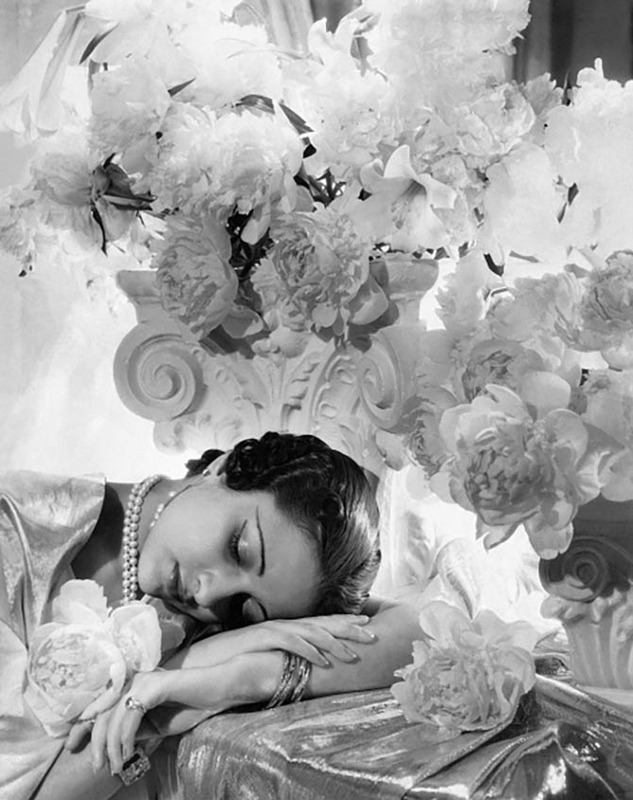 Princess Karam of Kapurthala, grandmother of jewelry designer Hanut Singh, wearing an array of jewels with her head resting on her arms, surrounded by flowers and silver lame in a 1935 photo by Cecil Beaton. 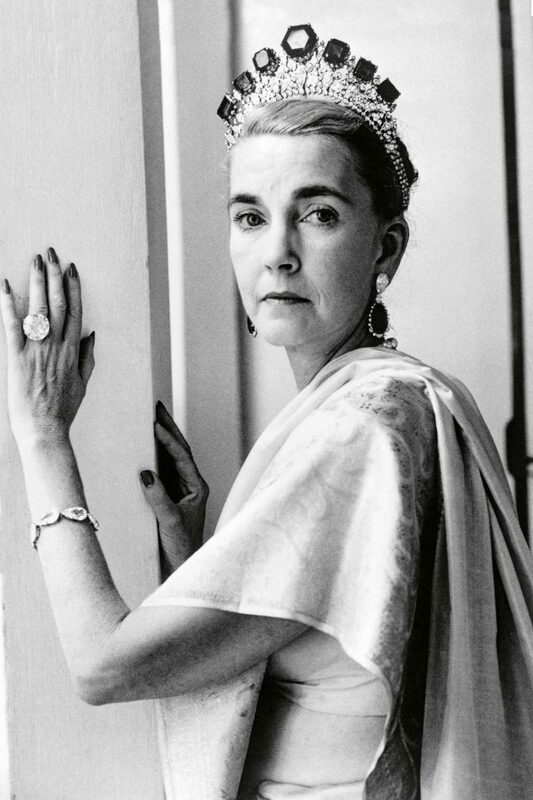 Barbara Hutton wearing her Cartier tiara set with emeralds from the Romanovs and her 40-carat Pasha Diamond ring among other jewels in one of a series of photographs taken by Cecil Beaton at her palace in Tangier in 1961. 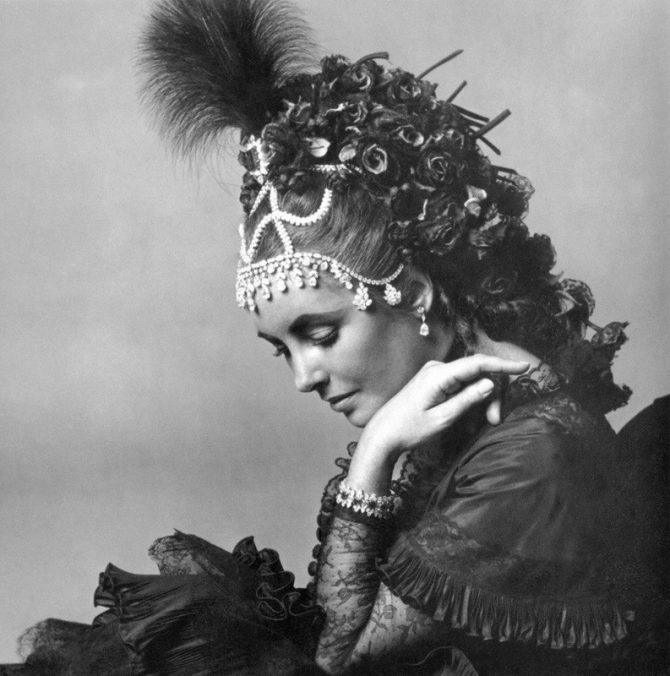 One of a series of photos Cecil Beaton took of Elizabeth Taylor in advance of the 1971 Proust ball. 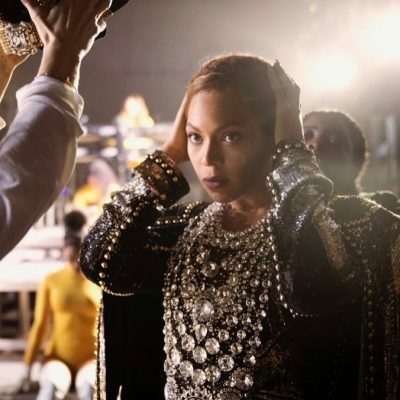 She wore several jewels including a Van Cleef & Arpels necklace on her head along with her Bulgari emerald and diamond brooch. 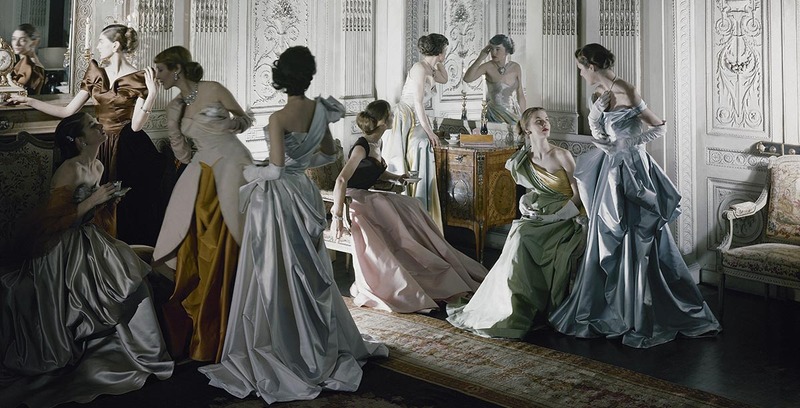 Cecil Beaton’s most famous fashion image of nine models, including Marilyn Ambrose, Dorry Adkins, Carmen Dell’Orefice, Andrea Johnson, Lily Carlson, and Dorian Leigh, wearing Charles James gowns in French & Company’s eighteenth century French paneled room. Some of the models are wearing jewels.